Guinness Blonde American Lager has signed on as the official beer partner for the Tough Mudder 2017 event season in the United States. The beer will be available beginning at the Tough Mudder New England event, presented by Merrell, on June 24 and 25. Other sponsorship and content distribution partners include Merrell, Amazon, Jeep, Aflac, Guinness, Vega, Olympus, Lucozade Sport, Nexcare, For Goodness Shakes, Bosch, Trek, Head & Shoulders, L’Oreal Men Expert, Käserei Loose, Snapchat and Live Stream. Guinness Blonde American Lager will sponsor a beer garden experience in Mudder Village, an area on-site at events where Tough Mudder participants and spectators gather. 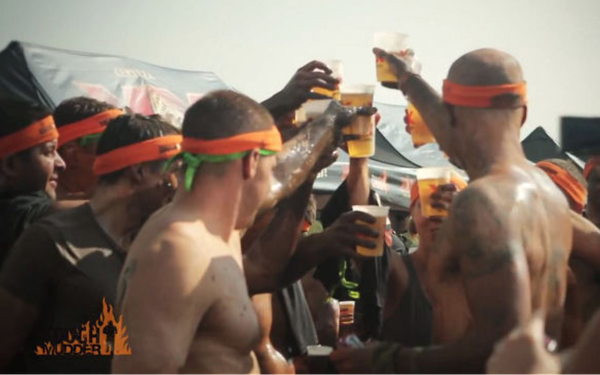 Adult participants (21+) will be able to toast their achievements with a pint of the American-brewed Guinness Blonde American Lager and celebrate the Tough Mudder triumph with their fellow teammates. Tough Mudder is designed to bring people together who share a common goal of overcoming obstacles and stepping out of one’s comfort zone, Slutsky adds. “Any time that you opt to try something out of your comfort zone, is typically a time that you’ll find rewarding,” said Emma Giles, Guinness brand director, in a release.